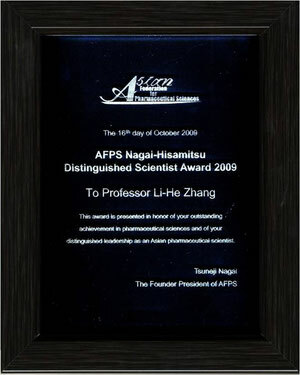 The aim of the AFPS Nagai Distinguished Scientist Award is to honor the Founder President of AFPS, Prof. Tsuneji Nagai, by making an award to an eminent Asian pharmaceutical scientist whose research in the field of pharmaceutical sciences is particularly distinguished, at the biennial AFPS Congress. 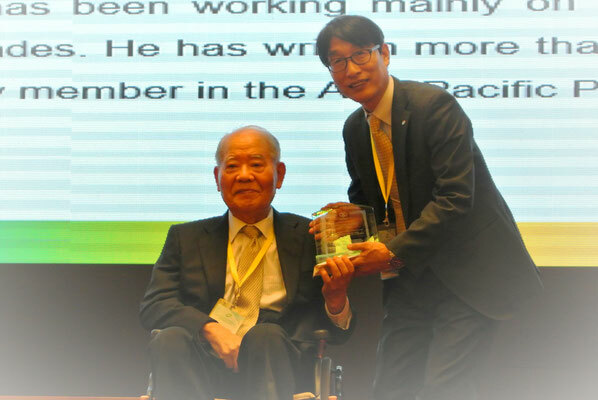 Professor Kenji Sugibayashi, the President of Josai International University, is an outstanding researcher in the field of the percutaneous absorption and skin penetration of drugs. His research has particularly focused on transdermal drug delivery techniques such as iontophoresis and electroporation and medical devices such as microneedle arrays and needleless syringes. 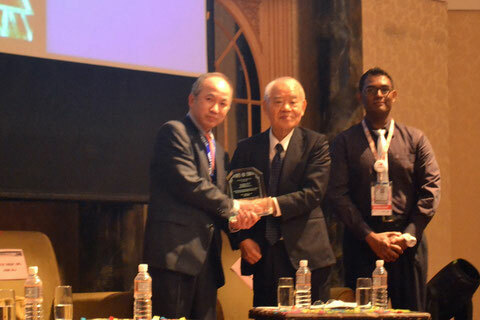 Prof. Sugibayashi had also initiated The Asia Pacific Pharmacy Education Workshop that has been conducted for a number of years to discuss pharmacy education with representatives of ASEAN countries. Professor William N. Charman is Dean of Faculty of Pharmacy and Pharmaceutical Sciences and Director of Monash Institute of Pharmaceutical Science at Monash University. Throughout his career, he has strived to be an agent of change in the Pharmaceutical Sciences, not just in research, but also in education and practice. His research has been characterized by a multidisciplinary and collaborative approach to address major issues in drug discovery especially for neglected diseases like malaria, drug delivery, and the pharmaceutical sciences. 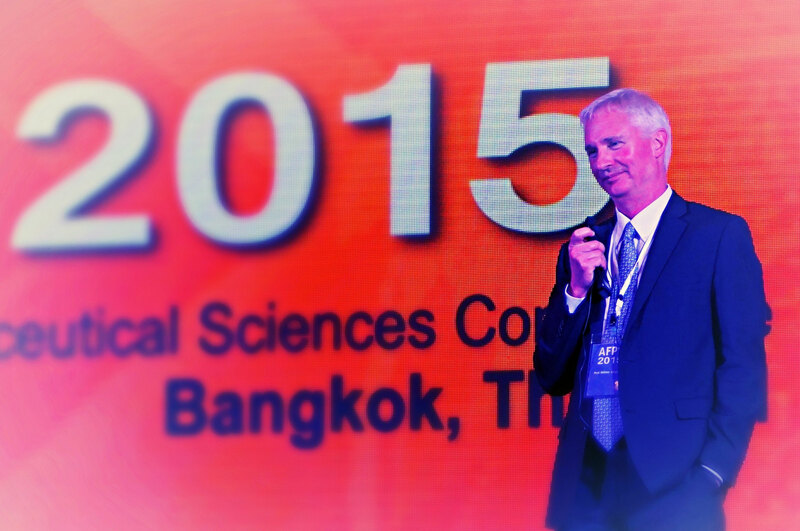 The title of his award lecture is "Pharmaceutical Sciences: Relevance|Innovation|Education". These three qualities describe his personal strengths. 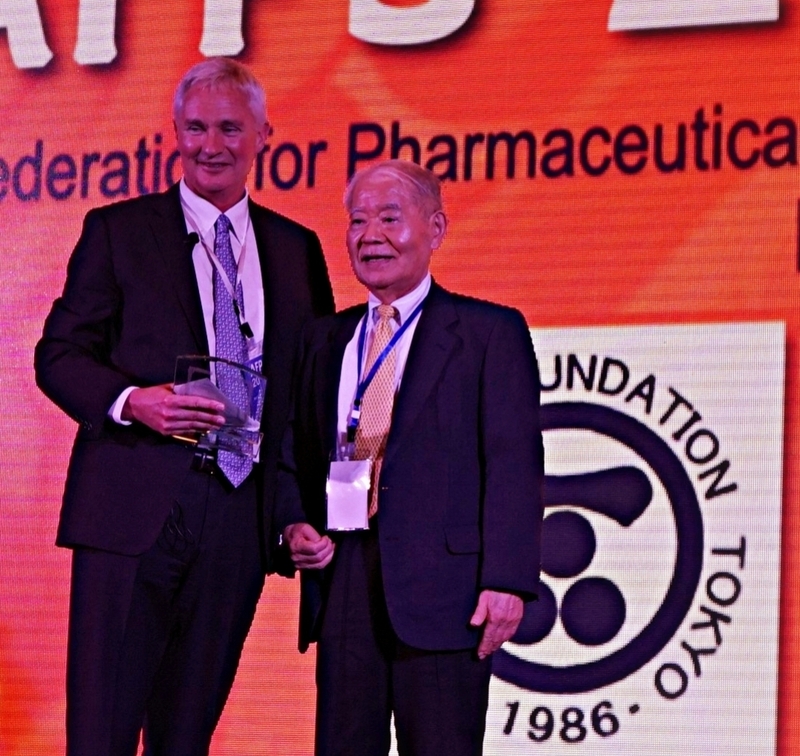 Hiroaki Okada, Ph.D. is Professor Emeritus of Tokyo University of Pharmacy and Life Sciences and Director (CEO) of Okada DDS Research Institute. Hajime Toguchi, Ph.D. is Executive Adviser of Pharmaceutical Division and Director Executive Committee Member of Otsuka Pharmaceutical. Long before collaborations in research in vogue, Drs. Okada and Toguchi had demonstrated the value of that approach in their landmark innovation embodied in a therapeutic breakthrough in leuprolein. Furthermore, their lifelong commitment to pursue cutting edge science is an inspiration, as exemplified in their latest research in targeted delivery of modern molecular therapeutics. Dr. Vincent H.L. 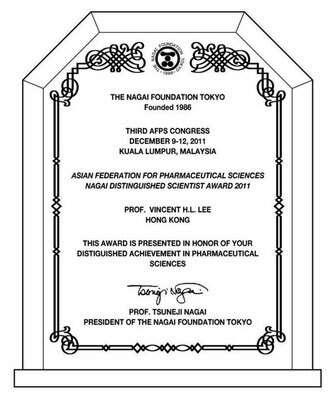 Lee is Professor and Director of the School of Pharmacy of the Chinese University of Hong Kong. Earlier he served as Associate Director at the Office of Pharmaceutical Science in the US Food and Drug Administration, Vice President of Biological, Formulation and Material Science at ALZA, and Gavin S. Herbert Professor of Pharmaceutical Sciences, Professor of Ophthalmology, Chairman of the Department of Pharmaceutical Sciences, and Associate Dean for Research and Graduate Affairs at the University of Southern California. He is a world-renowned leader and pacesetter in the pharmaceutical and drug delivery fields, a towering international figure in controlled release. His research contributions in drug delivery formulations, cellular interactions, mechanisms of solute transport through cells, and regulatory affairs have been pioneering and groundbreaking for the field. He is credited with 6,567 citations ranking 9th among all scientists working in “drug delivery”. His former PhDs from North America, Asia, and Europe are important contributors in a leading scientific constellation. Dr. Li-He Zhang is Professor of the School of Pharmaceutical Sciences, Peking University, China. 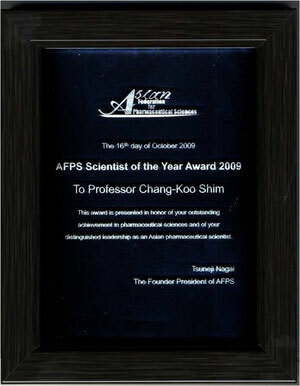 Dr. Chang-Koo Shim is Professor of the School of Pharmacy, Seoul National University, Korea. The AFPS Nagai Pre-doctoral Best Paper Award will be presented to the pre-doctoral best research papers (by oral or poster presentation) submitted at every AFPS Conference. Eun-Sook Kim (Duksung Women's University), C-reactive protein binds to integrin apha2 and Fcgamma receptor I, leading to breast cell adhesion and breast cancer progression. Ziqian Zhang (Chinese Academy of Medical Sciences & Peking Union Medical College), Brain metabolism study of IMM-H004. Xiangtao Cheng (University of Shizuoka), Effect of powder properties on the aerosolization performance of nano-porous mannitol particles as dry powder inhalation carrier. Yong-Hoon Lee (Chosun University), Development of oxygen delivery system for escaping hypoxia culture status. Mayumi Maeda (Gifu Pharmaceutical University), Evaluation of the behavior of chitosan-coated liposomes in the gastro-intestinal tract for oral administration of peptide drugs. Hai-Lun Jiang (Chinese Academy of Medical Sciences & Peking Union Medical College), Total flavonoid extract from Dracoephalum moldavica L. attenuates beta-amyloid-induced toxicity through anti-amyloidogenesic and neurotrophic pathways. Worawut Kriangkrai (Naresuan University), Film coated floating tablets using sublimable substances. Ryo Kinoshita (Kumamoto University), S-Nitrosated human serum albumin dimer as novel nano EPR enhancer applied to nano-anticancer drugs. Shinshu Unida (Gifu Pharmaceutical University), Inhalation properties of water-soluble drug loaded liposomes atomized by nebulizer. Sakalanunt Lamaisakul (Chulalongkorn University), Effect of cationic microemulsion on hemolysis and immune cell uptake. Benchawan Chamsai (Silpakorn University), Effect of cooling technique on physicochemical properties of ternary solid dispersion of manidipine hydrochloride prepared by melting method. 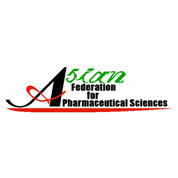 Su Su Latt (Silpakorn University), Preparation and physical properties of itraconazole-loaded nanoemulsions using pineapple starch as co-emulsifier. 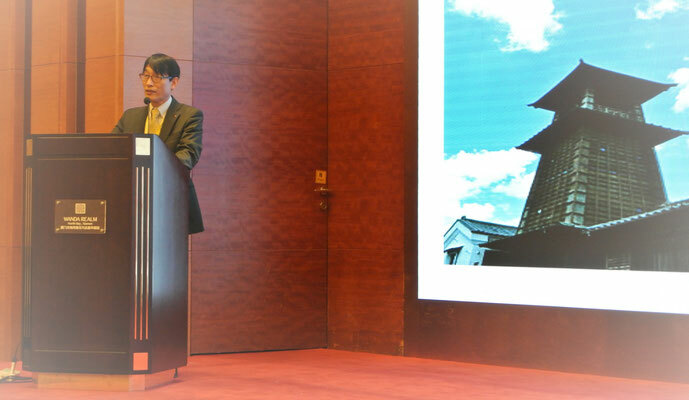 Toshiki Hayashi (Gifu Pharmaceutical University), Novel approaches for posterior segment ocular drug delivery with folate-modified liposomal formulation. Valamatdi M (MSU, Malaysia), Screening aqueous extract of Artocarpus Altilis (breadfruit) leaves for anti-diabetic effect in alloxan-induced diabetic mice. Madhavan Nampoothiri G (Manipal University, India), Cardio-protective effect of n-acetyl cysteine in subchoronic exposure of malathion in wistar rats. Luay Thanoon Younis (UITM, Malaysia), Development of 3D injective biodegradable hydrogel for the treatment of periodontal disease. Hiromasa Uchiyama (Gifu Pharmaceutical University, Japan), A novel hybrid-nanocomposite of alpha-glucosyl stevia and surfactant: for dissolution and absorption enhancement of insoluble drugs.